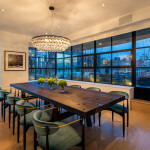 The three-bedroom penthouse occupies over 4,000 square feet of interior and exterior living space and has 10-inch wide-plank white oak floors throughout. 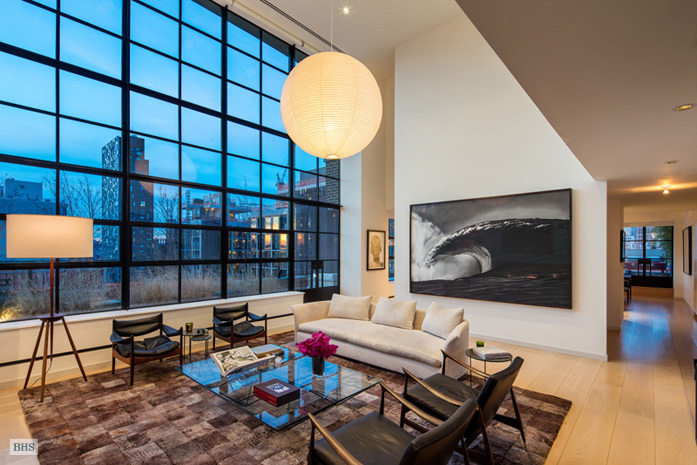 You’ll never need to check the weather thanks to entire walls of multi-paned steel casement windows channeling the artist ateliers from the 1920s. Along these walls, three sets of French doors open to a massive terrace with multiple seating areas for dining, lounging, and grilling. 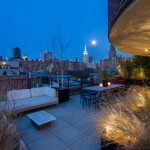 Connecting to this spectacular terrace—which boasts panoramic views of Chelsea, the High Line, and the Hudson—is a warm, yet modern, entertaining space. The double-height living room has a six-foot-wide gas fireplace flanked by backlit bookshelves. On the other side of the main floor, an open chef’s kitchen features custom Vola fixtures, an island, and Corian counters, while a gorgeous dining room is large enough to accommodate soirees of epic proportions. Upstairs, the master suite has its own breakfast balcony, which also has north and west views, including those of the Empire State Building. The windowed bathroom and dressing room ensure prime gazing even as you wash your hair in the glass-enclosed rain shower or soak in the deep sculptural bathtub. 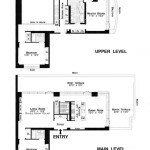 The top level also has a laundry area, and each floor has a bedroom suite for guests. 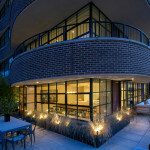 456 West 19th Street is a LEED-certified boutique condominium built in 2009 and designed by Cary Tamarkin. 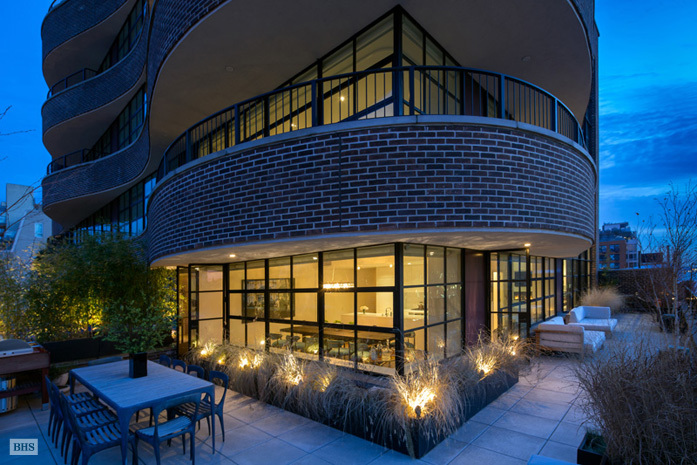 Residents enjoy a 24-hour doorman, on-site super, private storage, bike storage, multi-zone air conditioning and the perks of people-watching over the High Line. Its central location is ideal for checking out world-class galleries and architecture as well as indulging in all the shops and restaurants New York’s trendiest neighborhood has to offer. 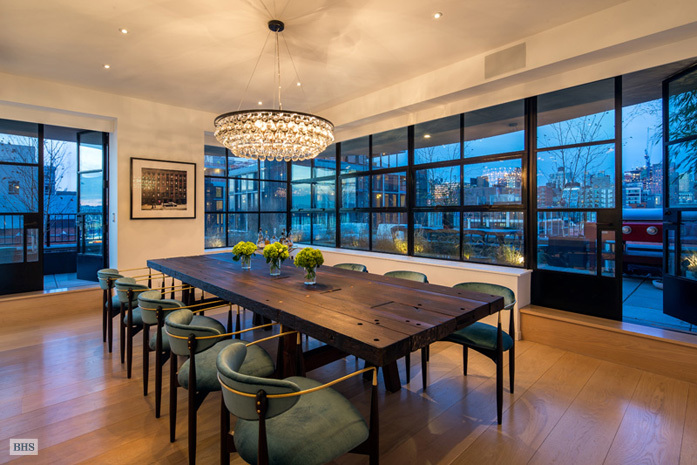 Take a look at a Shamir Shah-designed duplex in the same building, here. If I had the capital to make on an offer, I’d only offer 9, max. The actual interior space is not even 3k square. 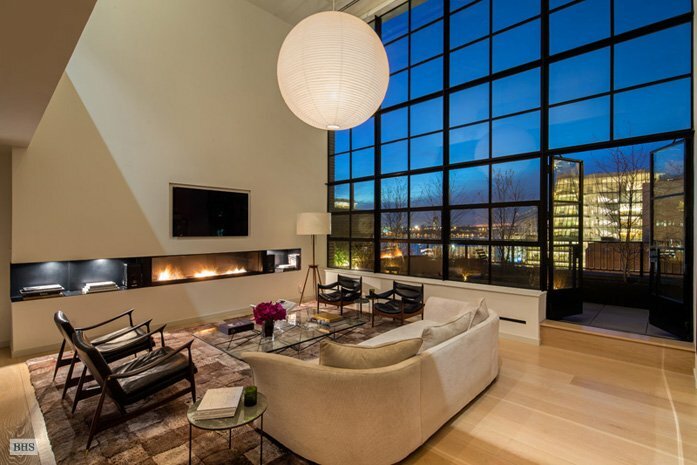 With that said, beautiful apartment.